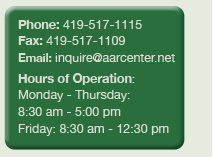 The mission of the Arthritis and Rheumatism Center (ARC) is to provide the highest standard of care to the patients with arthritis. There are more than 100 forms of arthritis. Nearly 43 million Americans, about 1 in every 5 adults, have arthritis or chronic joint symptoms. While arthritis is a growing epidemic among aging population, it also affects many children and young adults. In fact, 60% of people with arthritis are younger than 65. Arthritis is the leading cause of disability among U.S. adults. It limits everyday activities for more than 16 million Americans. Early and aggressive management of inflammatory arthritis can reduce complications and delay costly procedures like joint replacements. The physicians at ARC are committed to provide state of the art treatment to patients with arthritis and autoimmune diseases.